﻿ Updated 2013 MV Agusta F4 ridden! 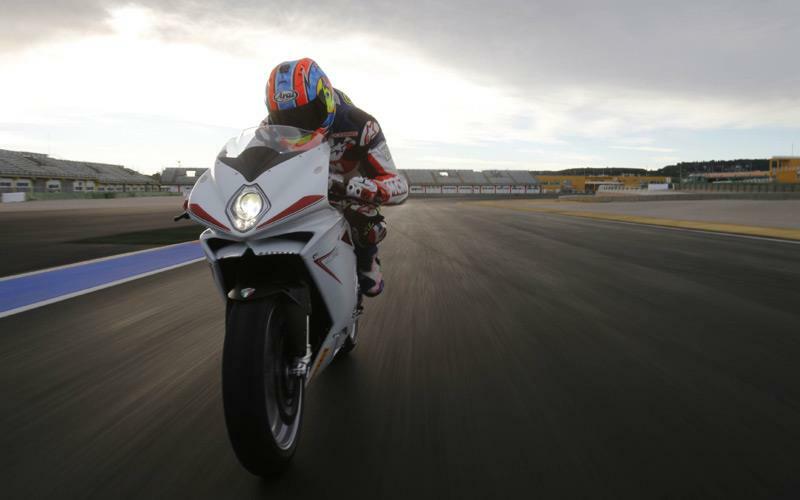 "We're here at the Valencia MotoGP track with the new 2013 MV Agusta F4 range. The machines might look like the old F4 we know and love, but beneath the skin there are lots of significant changes. "The standard version has a host of upgrades including new traction control, quickshifter, crank, conrods, ride by wire, frame, wheels, lights, dash, exhaust and a host of other detail changes. It's virtually a new bike. 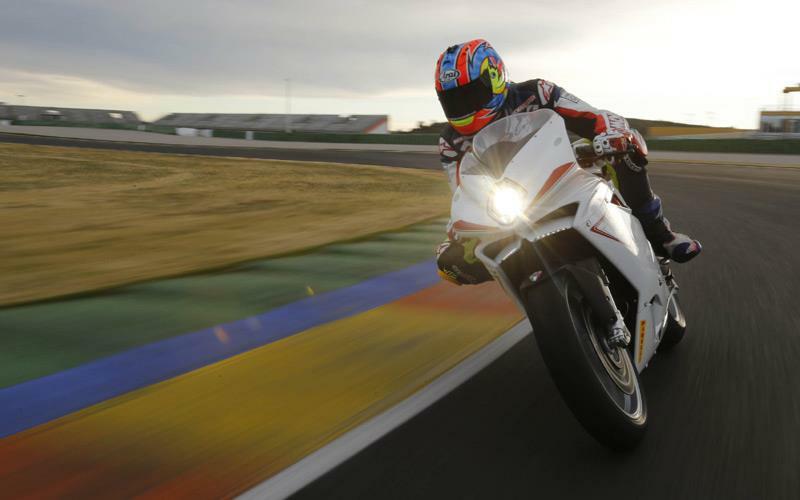 "The F4R has an Ohlins rear shock, lightweight forged ali wheels and the range-topping F4RR has electronic Ohlins suspension, a lighter frame, different clip-ons, a higher swingarm pivot, a claimed crank figure of 201bhp and a dry weight of 191kg. "I'm riding all versions and have just come in from riding the RR. It's extreme in every sense of the word, from the brutal acceleration out of corners, to the power of the M50 Brembo monobloc brakes to the riding position. "The MV is a few steps in front of me at the moment and my brain can't keep up with the speed. "It's a hard bike to ride fast because it's so stiff and direct but it's the ultimate speed buzz. "Turning is lighter and more direct than before and the power delivery is smooth. The traction control is set too high at the moment, so it stutters out of slow corners, but I'll turn it down for the next session to make things smoother. "I'm not sure if it'll be the fastest 1000 around a track but it certainly feels it. "Check out my full report in MCN soon, when hopefully, after a few more sessions my brain will have caught up with the speed of the bike!"